This pattern is available in text only web page format for FREE HERE. 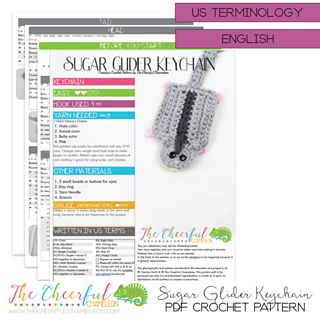 This purchasable pdf download is in my stylized layout format with progress photos. 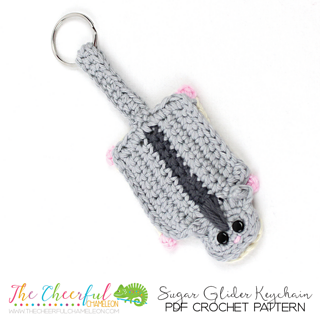 Sugar Glider keychains are so much fun to make. 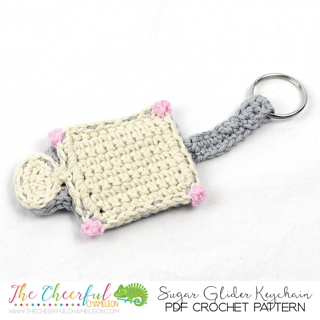 These simple projects use very little yarn and make wonderful gifts. • Easy to Intermediate Skill level required. • PDF version includes pictures to help you complete with ease. 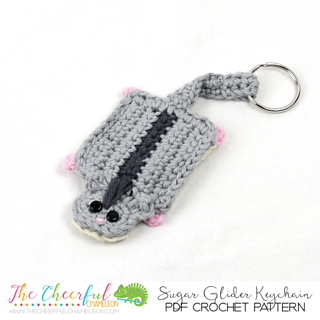 • In addition to yarn and hook, you will need A key ring, scissors and a yarn needle. You are welcome to sell any items made from this pattern.